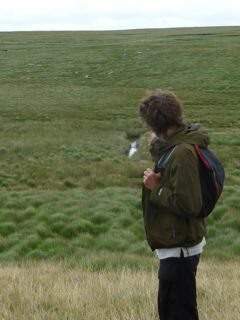 – the tales of my long walk around England in 2010 collecting the stories of a people in Transition…. Buy a first edition (£100) or limited edition copy (£50) and get it signed at the launch, or buy a raffle ticket (£5) and win a first edition copy. TICKETS for the launch on sale here. 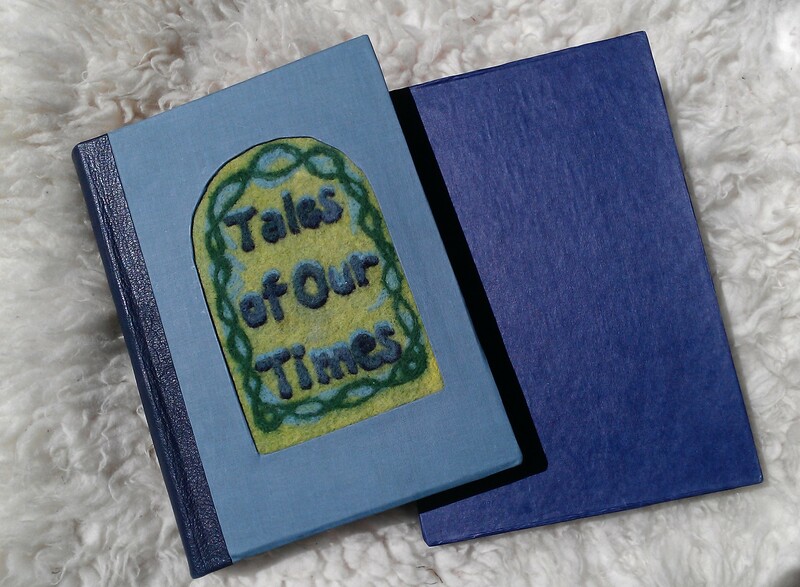 Help crowd fund a paperback version. Donate towards printing costs here. 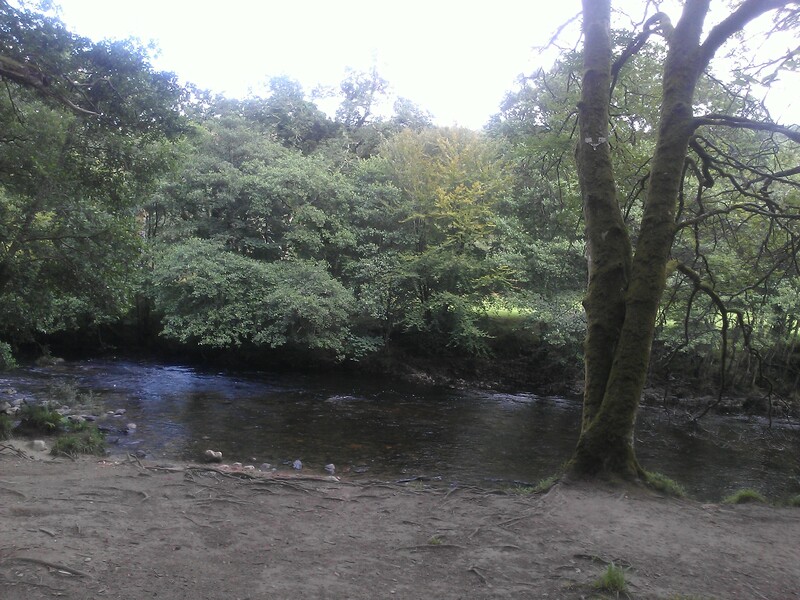 Just back from my latest StoryWalk – a Lammas week Up the River Dart in the good company of a Wild Fisherman, a Storyteller, a Geologist, a Mover, A Czech Overtoner, and a beautiful Chinese walker, a playful French mademoiselle, and a Geisha and her family. Click the Mixcloud link to the right to hear my radio show about the Dart, and the tale of our adventures. 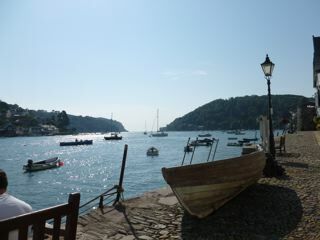 We set out from Dartmouth,after a swim at Sugary Cove. 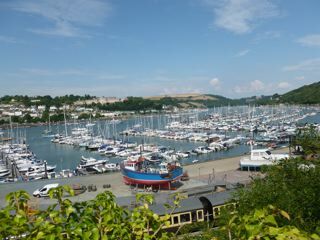 and walked to Greenway then took a boat. 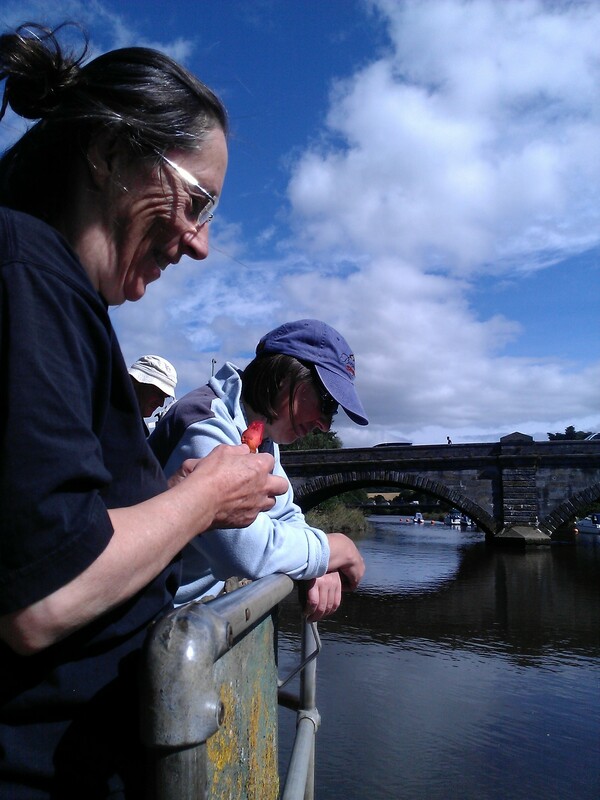 We threw rose petals in to the water at Vire Island. 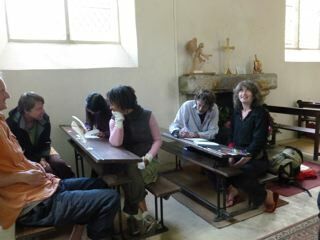 with a mosaic artist, and acquired a new pilgrim there who helped us with our camp. 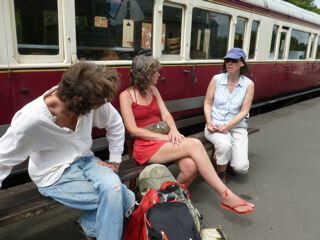 We boarded the steam train at Staverton and followed the river along to Buckfastleigh. 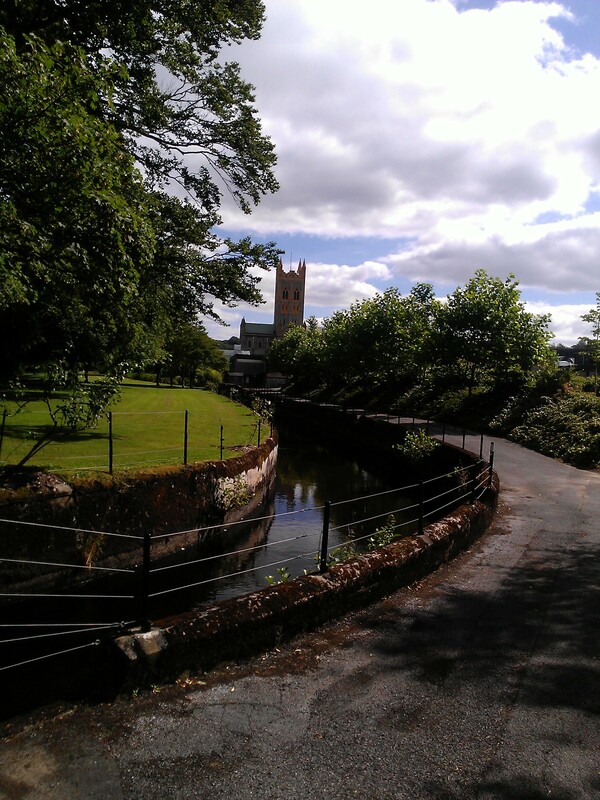 and the abbey at Buckfast. 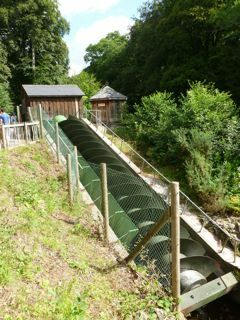 and saw the first modern day archimedes screw in England, at the River Dart Country Park. 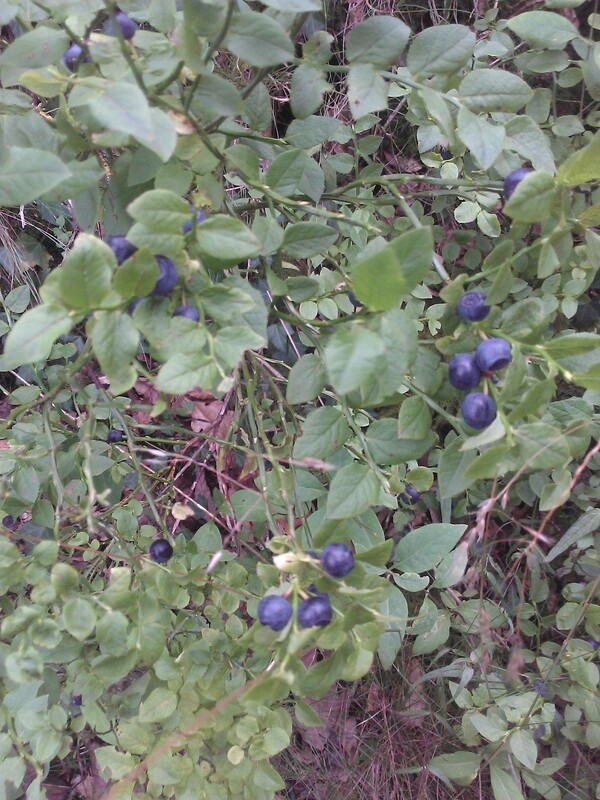 and found bilberries, the traditional food to eat at Lammas. 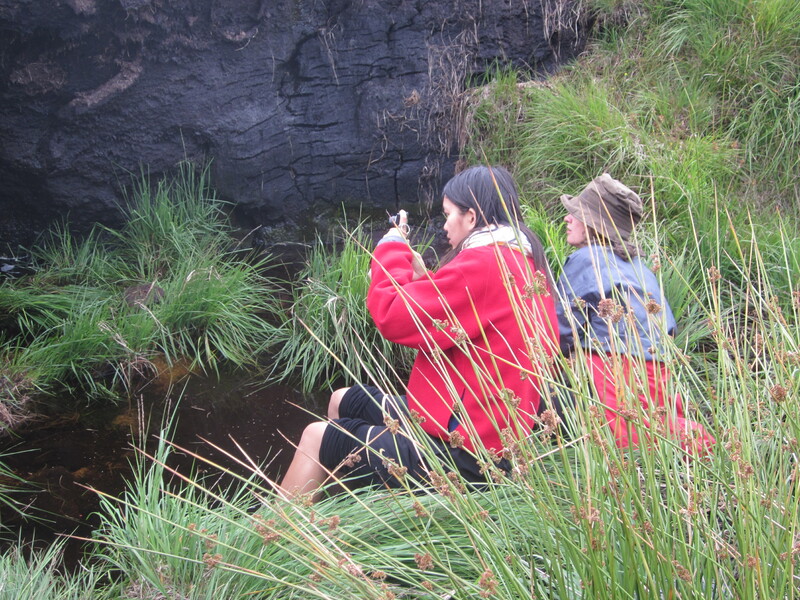 We walked along the river’s gorge and then had to climb its steep sides to get out. 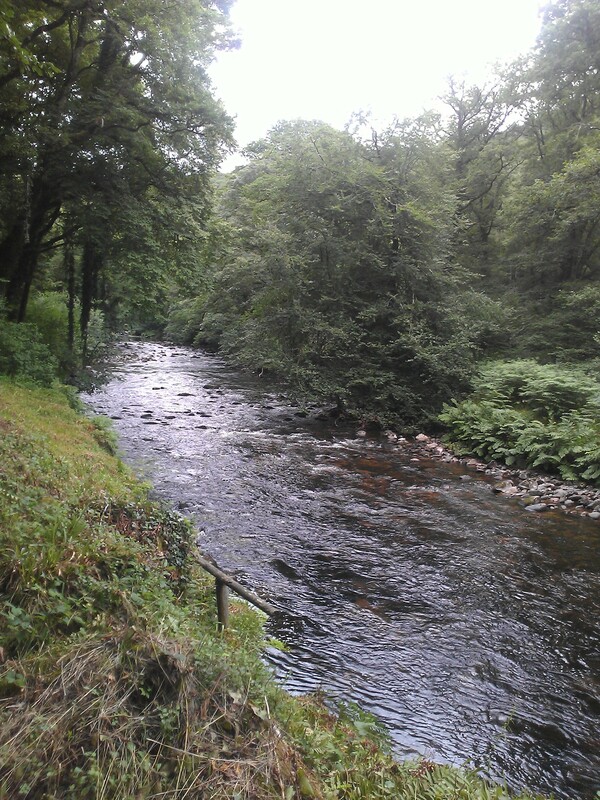 We ate Rabbit Pie at the Forest Inn then learnt how to make a fishing rod. We stayed at Huccaby Farm and heard the tale of Tobit at St Raphael’s chapel. 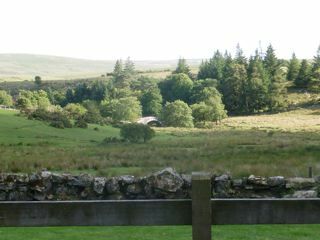 We saw Dartmeet and walked on across moorland to Beardown Farm , stopping for drinks at Prince Hall Hotel of the privileged view. 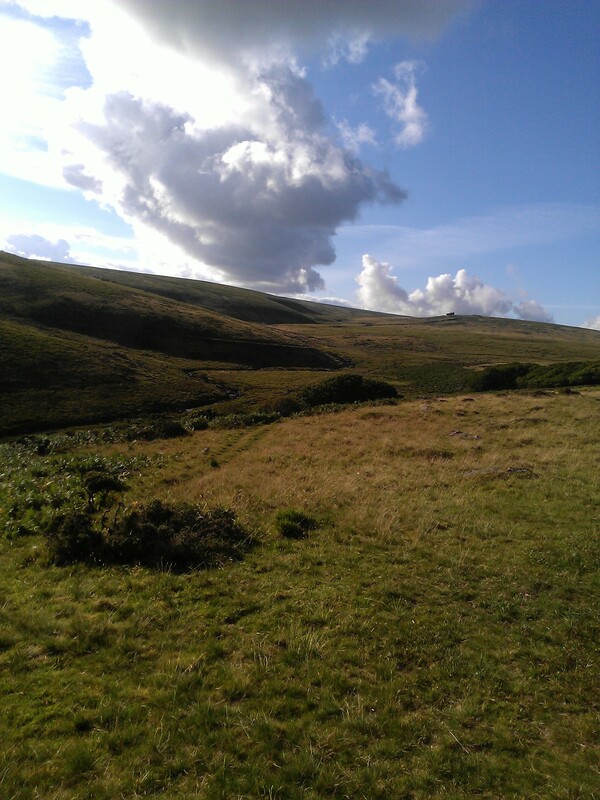 We walked through Wystman’s woods to the source of the West Dart and back again. The river got very thin. Photo Helen Raphael Sands. There were shooting stars in the skies as we camped that night by the river and told our story. Next year we’re doing it all over again! Come join us! 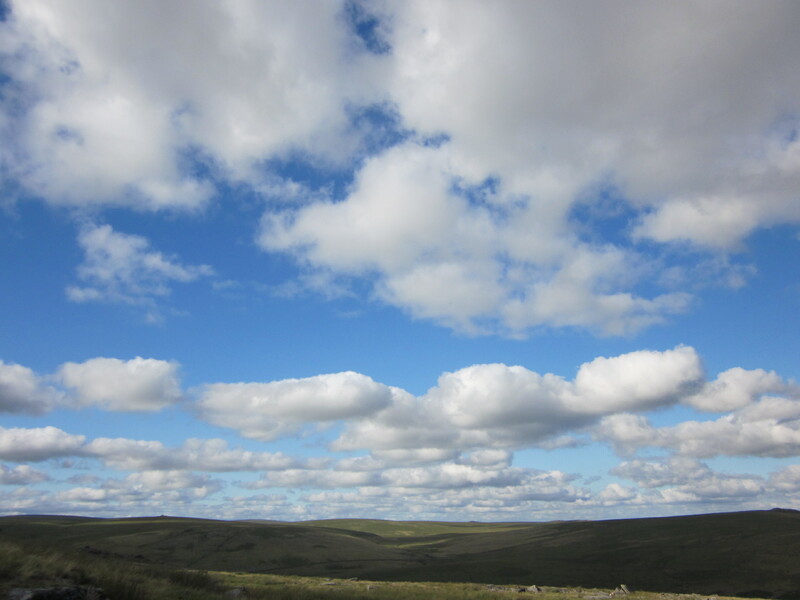 Next month we are walking to the source of the East Dart. Watch for updates! The video, and photos of the stretch from Wystman’s Woods to source, unless otherwise stated, are courtesy of Matthew Needham. * excerpt from “Memorial” by Alice Oswald. 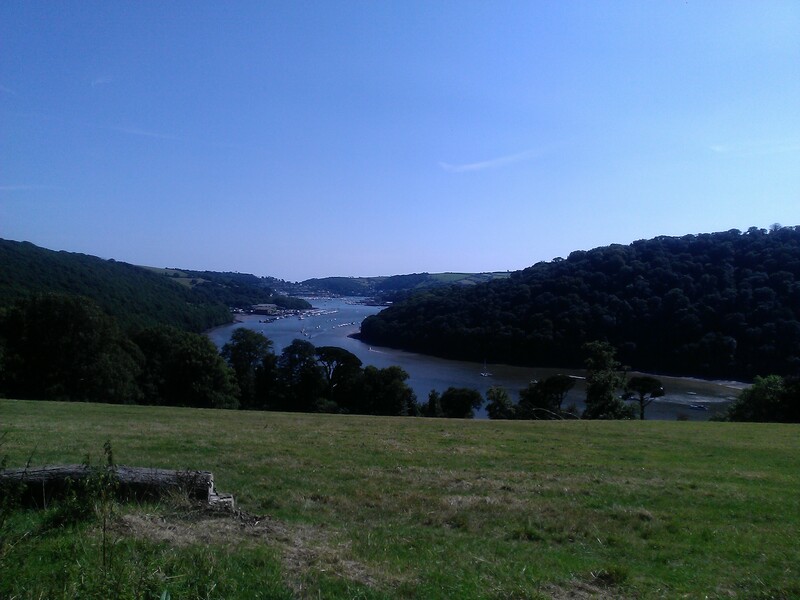 Next Thursday, the 8th August a group of us will be setting out from Dartmouth Castle to walk up the river Dart from the sea to it s source high up on Dartmoor. 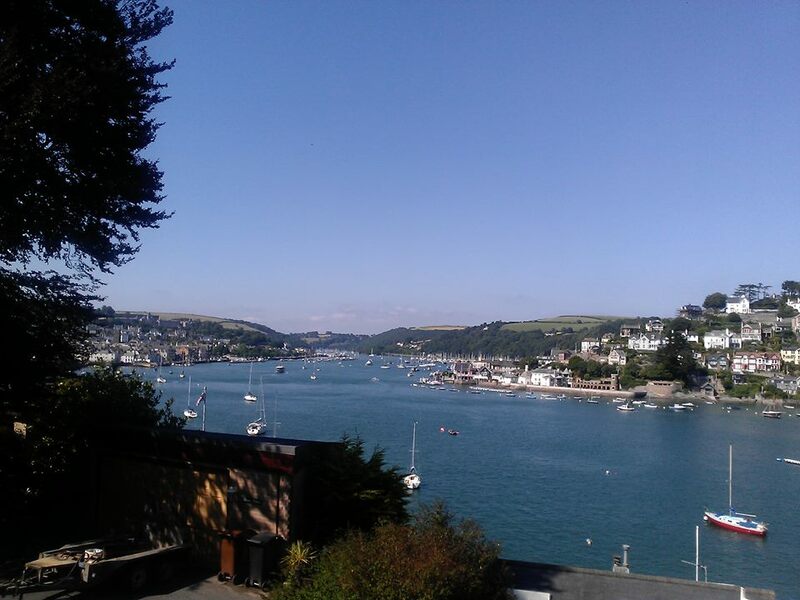 We will be walking to Greenway, once home of Agatha Christie, catching the ferry to Totnes, setting out again next morning to Staverton where we will board the steam train to Buckfastleigh. 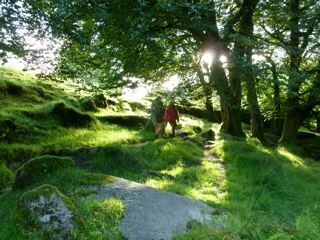 Then we will be on foot the rest of the way, through Holne Chase ancient woodland, past New Bridge, up to Dartmeet, off up to Two Bridges, through Wistman’s Woods, and all the way in to the military land in the centre of the moor to find the source of the West Dart. 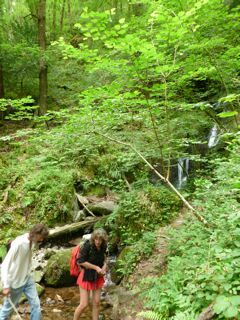 Later in the autumn we will return to walk to the source of the East Dart and see its waterfall along the way. The good news? You can join in ! 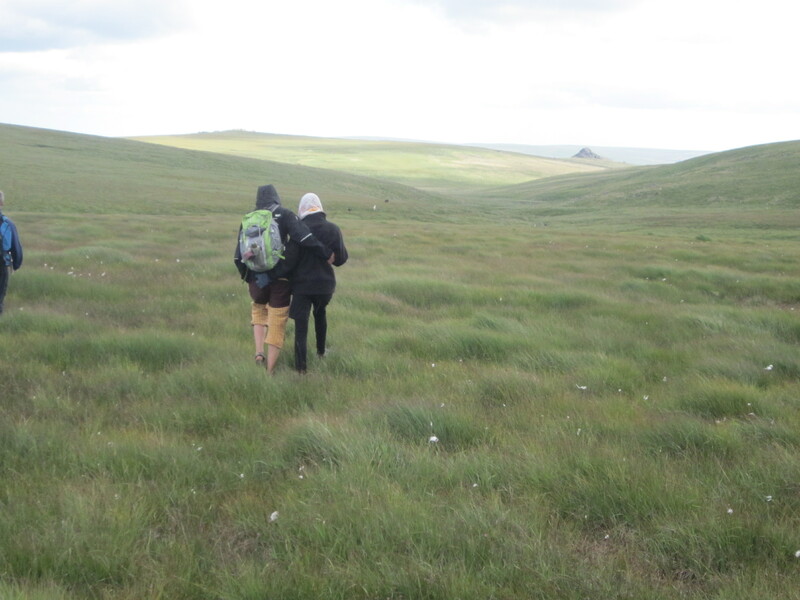 For as little as a day to the whole 5 day walk, and however little or far as you walk with us you will get to go along to the creative day at Jan O’Highway’s studio on the 13th and get creative. 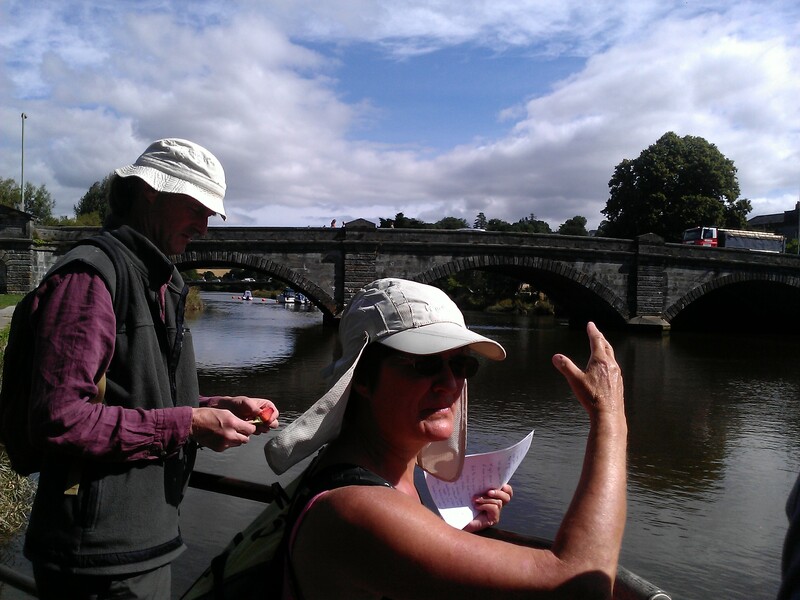 All art work made inspired by the walk will be exhibited at communities venues up and down the river through autumn to the next spring…when we will be preparing to do it all again! 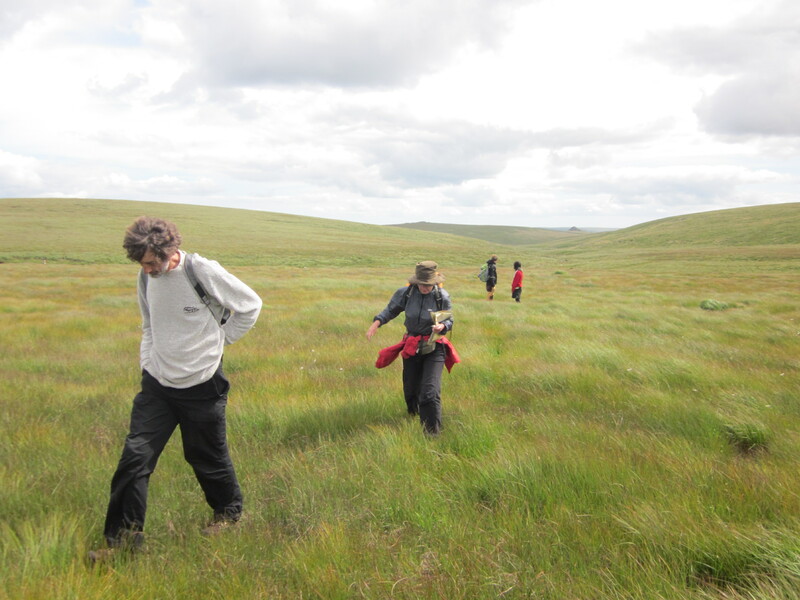 There will be workshops running every day throughout the walk which you can join in. 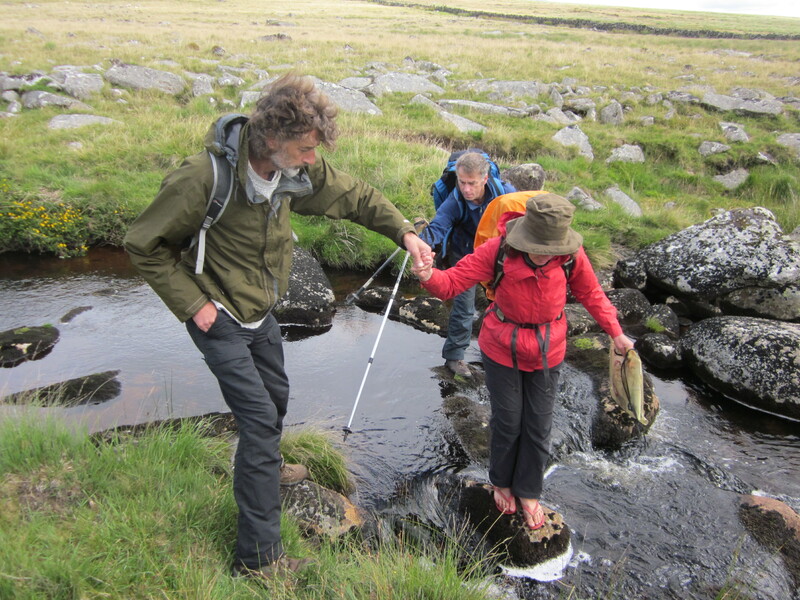 Download the programme of workshops here : Workshop Programme Up the Dart 2013. 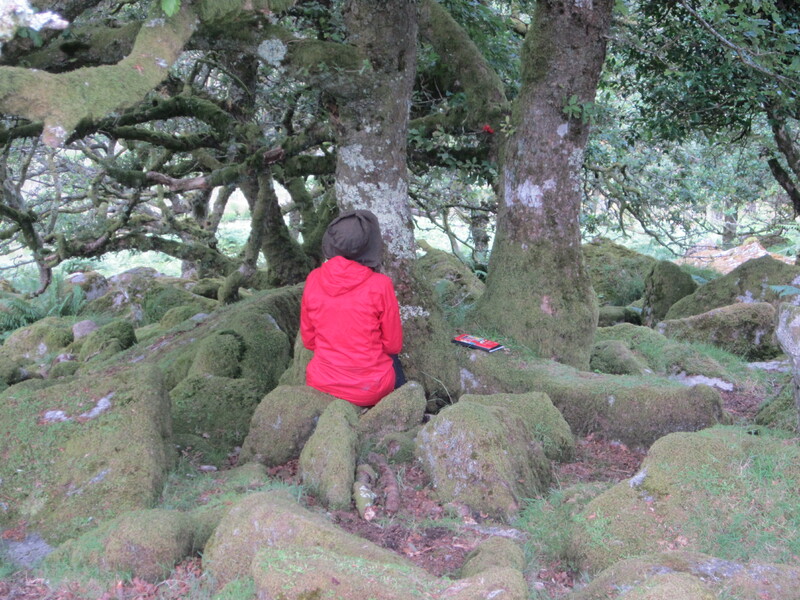 Get the itinerary here: up the dart programme final For meeting points email transitiontales@googlemail.com. 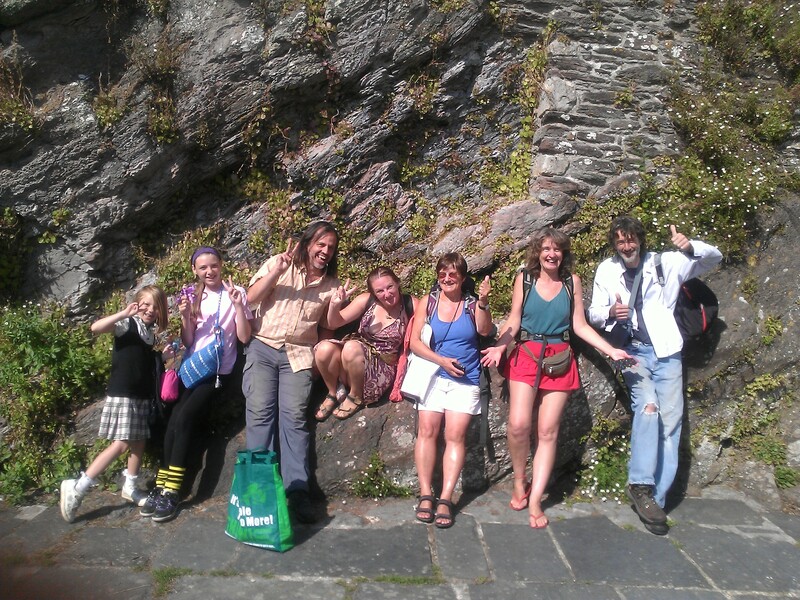 Storytelling, wild fishing, foraging, singing, play the Transition game..take your pick or do them all! 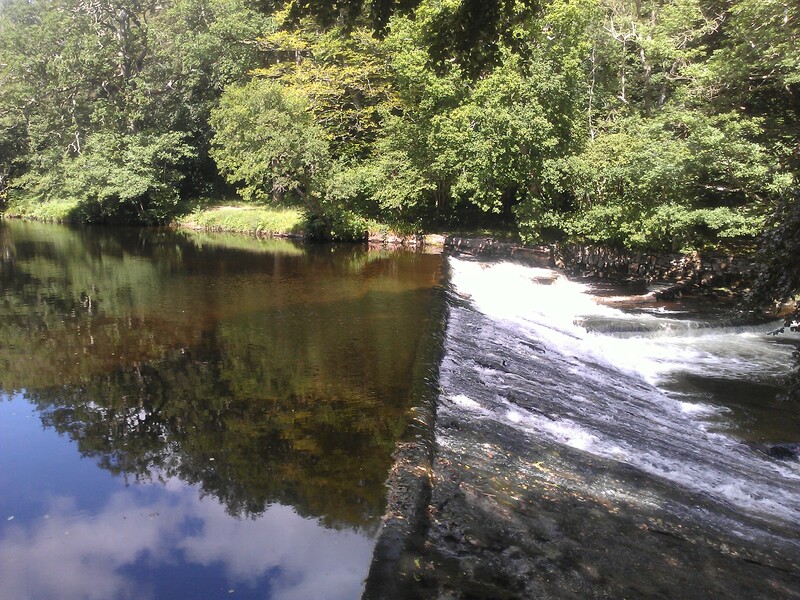 Help us weave the newest story of River Dart.